Today is Card Reveal Day at SOUS! Nanne designed a really fun sketch to work with! I decided to play along once again because March was a month of birthdays and I had a few cards to make! This is one that I made for my sister for her birthday! I hope she liked it! 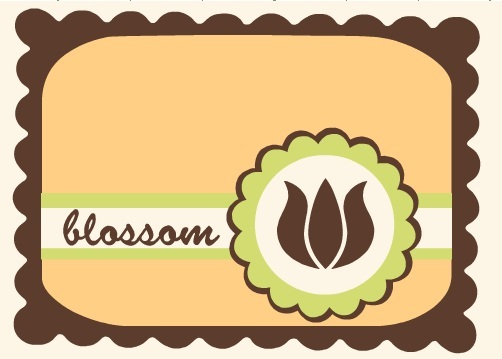 You will definitely want to stop by the blog and check out all the very pretty and amazing cards that the design team came up with! That is one group of talented ladies! I'm always inspired by their work! 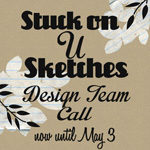 In other news, SOUS is having a Design Team call! If this is something that you would be interested in, please check out the information on the blog! Well Char.. I know for a fact that your sister LOVED her birthday card!! How fun to stop by and see it on your blog.. awesome work with the sketch!!! 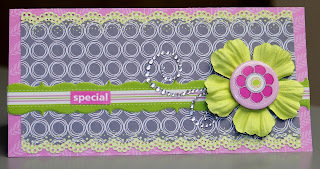 Love the colour combo....and that lime flower is so pretty! 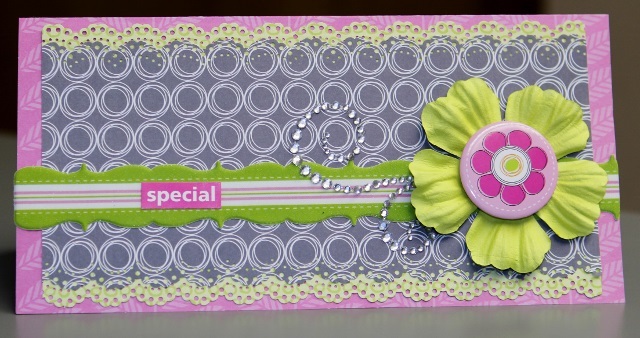 Oooohhh.....love those bright colors against that pretty patterned bg paper! PRETTY CARD!